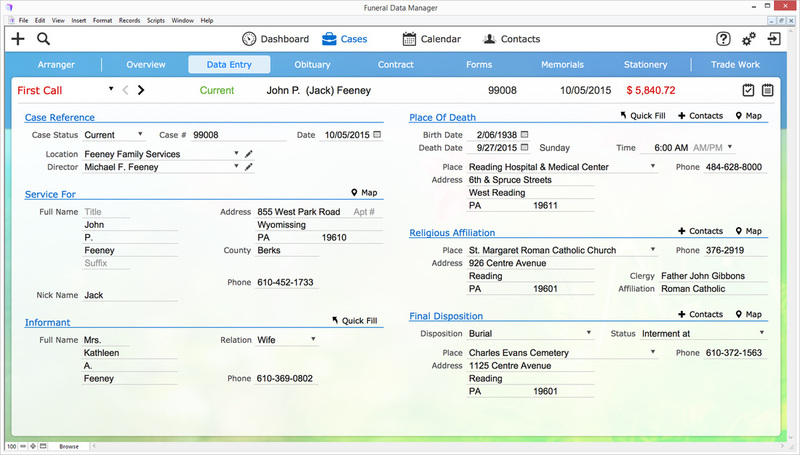 It's time to rethink funeral home software. More than a simple data entry system, our software allows you to customize your experience to suit your workflow. We invented the first arrangement room software almost 20 years ago. 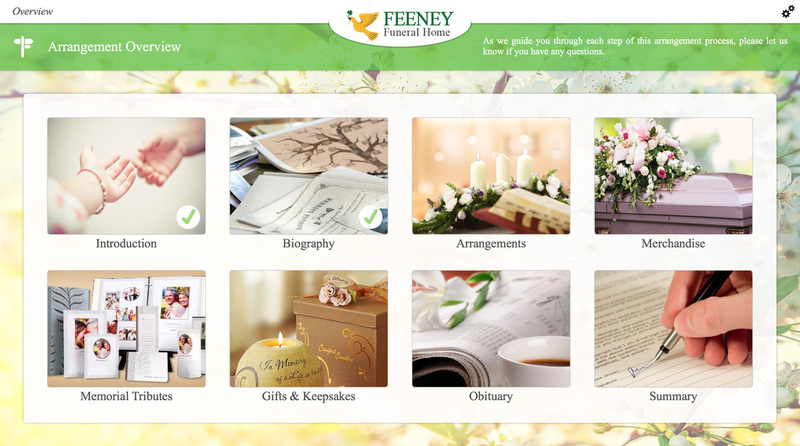 Now we've taken everything we've learned from our own funeral home, and from our partnerships with national casket companies and incorporated into our Funeral Data Manager software. Our Visual Arranger component allows you to enter data while meeting with a family.